This week I want to talk about two great neighborhoods on the Island. 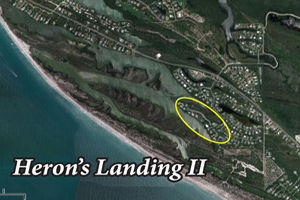 Centrally located off of Sanibel-Captiva Road, Heron's Landing and Heron's Landing II are gated communities near the beach, Captiva Island and the Ding Darling Wildlife Refuge. Both neighborhoods are located off the Sanibel Bayous subdivision and each has properties overlooking the Bayou and some with second floor Gulf views. If you are looking for a home, or a place to construct your dream home, I can help you with the ins and outs of home buying or construction on our island! Sanibel Island real estate presents you with lots of great opportunities! Currently there are a couple of terrific listings in Heron's Landing. There are two homes currently listed. One is a furnished three bedroom, two bath for $879,000. The other is a three bedroom, three bath with Bayou and Gulf views listed for $1,695,000. There are two vacant properties for sale, one for $379,00 and another for $595,555. All these properties have pros and cons and if you would contact me I can explain each area and property to you. Sanibel Island is an incredible place to live, and as a long time island resident, I have the knowledge to help you with your real estate decisions! Our real estate market is definitely on the rise with market prices coming off its lows and sales activity is on the rise. If you have been thinking of buying on Sanibel, Captiva Island or Fort Myers, this is the time to get in high gear and let me go to work for you! We have some terrific properties ready for you. Whether it's a condo, home or vacant lot, our pre-season inventory has just about every type property you can imagine. 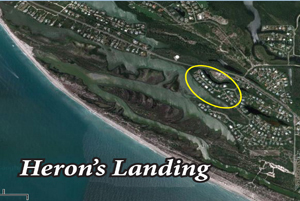 On Sanibel, home prices start at $250,000 and go up to $5,496,00. Condo prices from $129,000 to $2,999,900. I can definitely find just the right place for you! The Sanibel & Captiva Island lifestyle awaits! Use my contact form or give me a call at 239-691-4915. It's starting to get cold up north and we are expecting a very busy real estate season so pick up that phone and give me a call! !